According to a major new report published by the Society of Motor Manufacturers and Traders (SMMT) and Frost & Sullivan, the UK is the world’s number one location for mass-market potential of Connected and Autonomous Vehicles (CAV), with £62bn annual economic opportunity by 2030. The report ranks the UK above other major automotive countries as a global destination for the mass rollout of CAVs. This is clearly an immensely important sector and KTN has been working on mapping all the organisations involved in the CAV scene in UK. The resulting database is a work-in-progress and it offers an overview of how and why the UK is considered one of the global leaders in the development of driverless vehicles and why, as mentioned in the SMMT report, it is the place to conduct CAV research and development. 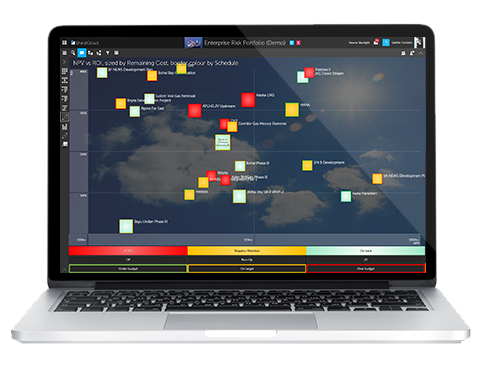 KTN has collated publicly available information about organisations in the UK, including their areas of expertise and resources, and has mapped the relationships between them into a SharpCloud story, creating a map of the UK CAV ecosystem. It is a particularly useful resource for those from the UK or abroad looking for specific capabilities. Since the first R&D competition was launched by the Centre for Connected and Autonomous Vehicles in 2014 (Four Cities Trials), the UK has witnessed an exponential increase in the number of organisations involved in this space. Whilst the first competition involved the collaboration of 38 organisations split into three projects, today, just five years later, we have an ecosystem that supports more than 300 different enterprises across the UK. That number is growing daily with new entrants to the market. 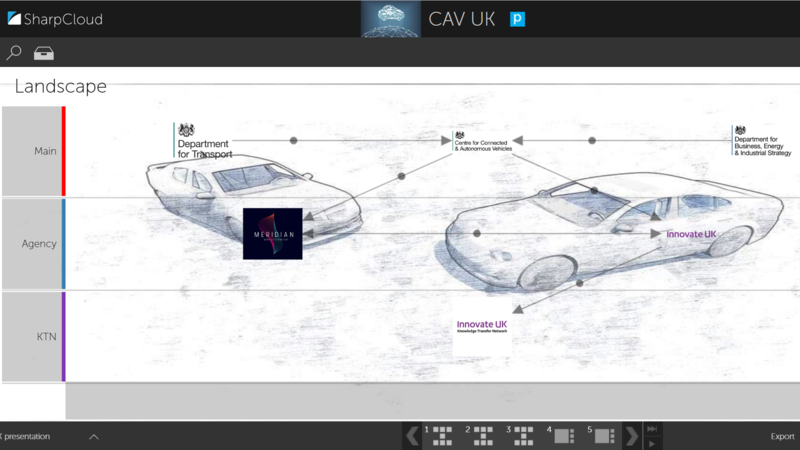 The mapping of the sector is an ongoing process that is being project managed by George Filip, Knowledge Manager for CAV at KTN, and has already proved extremely useful to stakeholders involved in CAV. If any organisations would like the information about them to be changed or are missing from the database, there is an option in the story to submit updates/feedback. To access the SharpCloud story, click here.